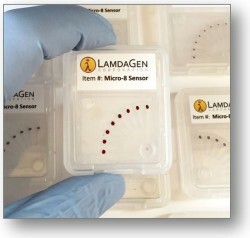 LamdaGen Corporation is a privately held developer of nano-based biosensors and powerful testing systems. The Company’s core diagnostic technology is a quantitative immuno-based platform that combines the high sensitivity of an ELISA with the simplicity and speed of LFA to enable quantitative detection of diseases, pathogens and contaminants. There is a global need for advanced technologies that enable highly sensitive and quantitative detection to provide precise results at point of use in ~15 minutes. To meet this need, LamdaGen has developed L’AuRa – a category-defining digital testing platform that enables significant performance and use advantages vs multi-hour ELISA’s and Lateral Flow assays. 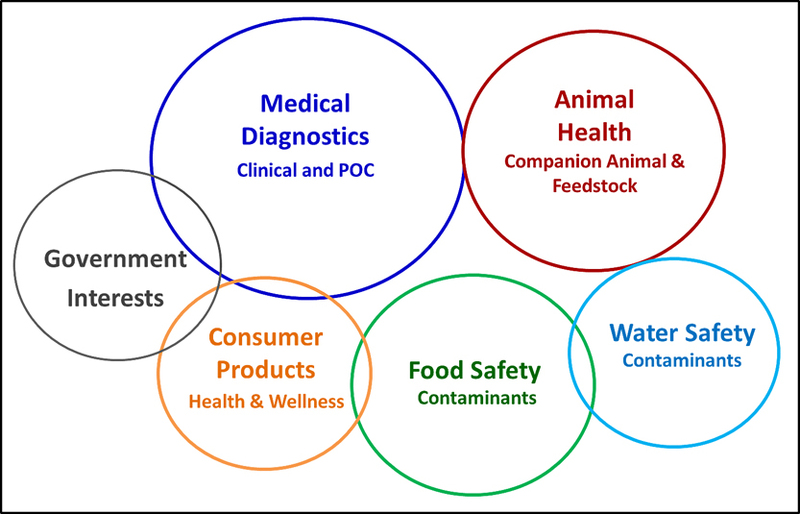 LamdaGen licenses its sensing technologies on an open-source basis to companies in the following sectors. The L’AuRa diagnostic system is ideal for enabling high sensitivity, quantitative POC, mobile rapid testing. 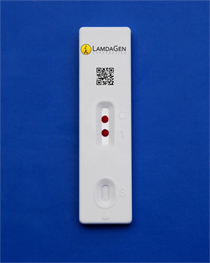 LamdaGen’s metallic thin-film LSPR-based Optical Biosensors for research and development in the areas of Life Science and Cleantech.